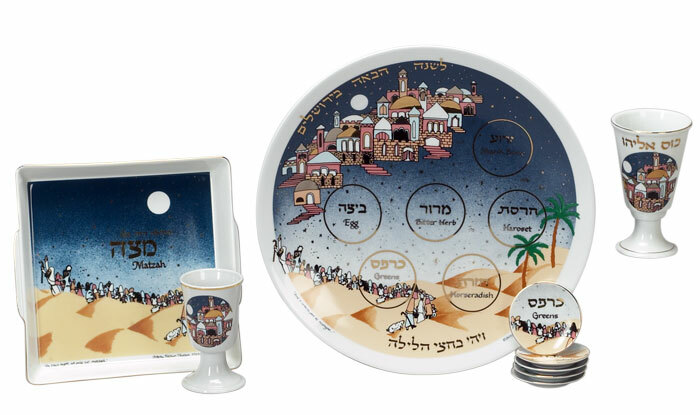 Complete porcelain Seder set - the Exodus all the way to Jerusalem. Set includes: 1. Seder Plate 12" diameter with 6 matching trays. 2. Matzah tray 8 1/2" square. 3. Kiddush cup. 4. Elijah Cup. Price is reduced by 10% when you order the complete set, see the options below.